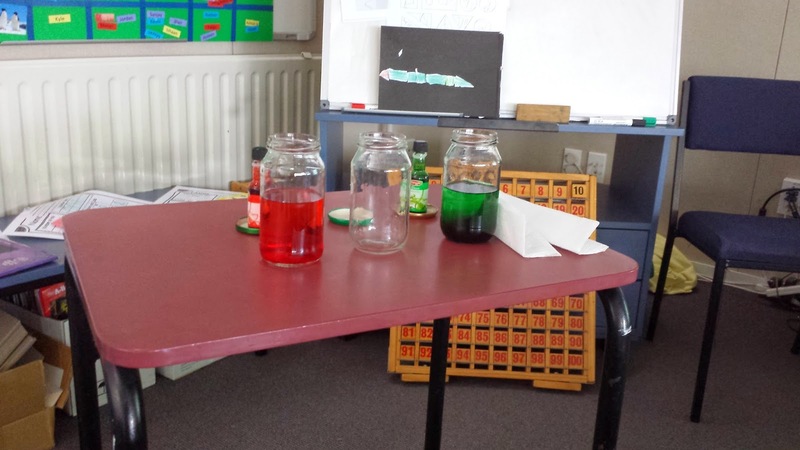 Room 7 Bloggers: Room 7 science technicians! 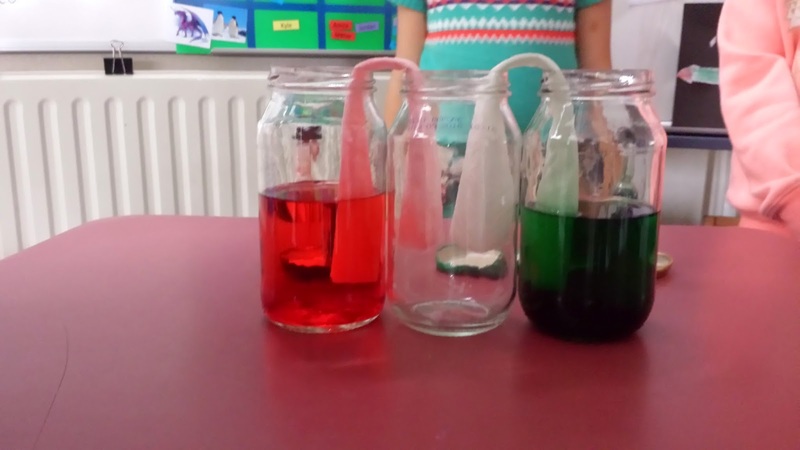 We are developing our skills as science technicians, through learning about cause and effect and how different materials react to each other. We looked into walking water. We looked at the equipment we needed and then discussed our predictions. Place the three glasses side by side. Starting on the left hand side, fill that glass with water. 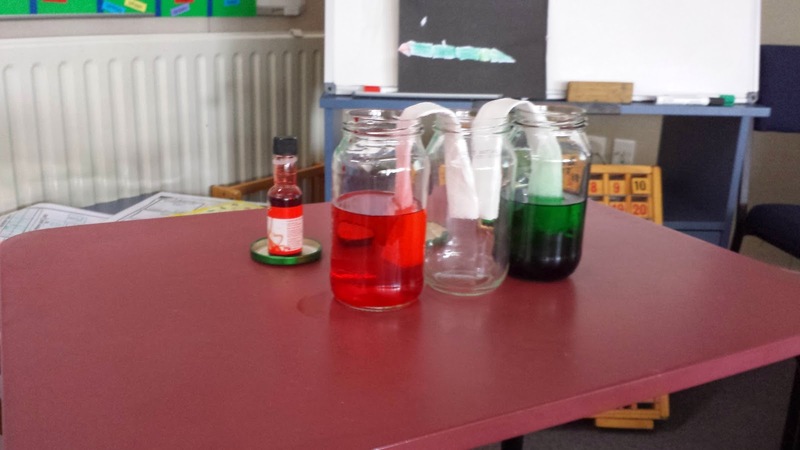 Squirt a generous amount of Red food colouring into the water. Leave the next glass empty. 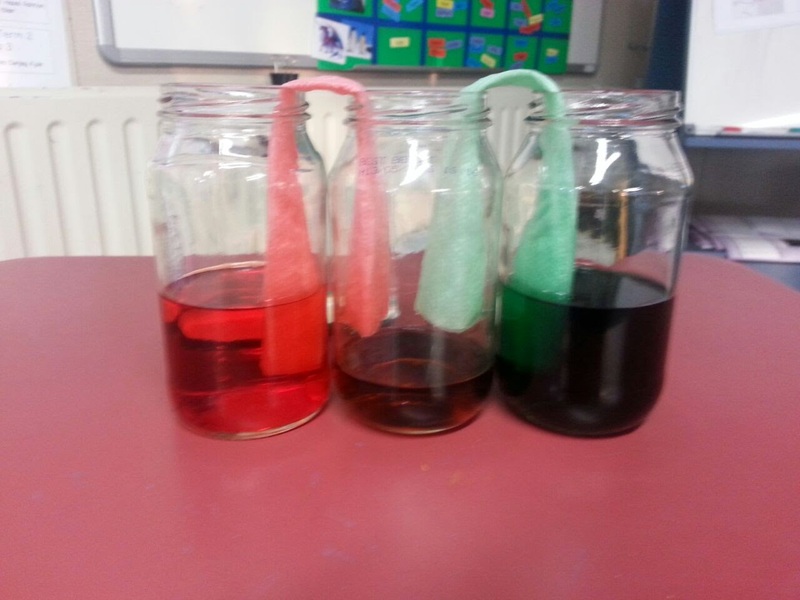 Now fill the glass on the far right hand side with water and add a generous amount of Green food colouring. Fold a paper towel in half lengthways and again so that it will fit into the neck of your glass easily. 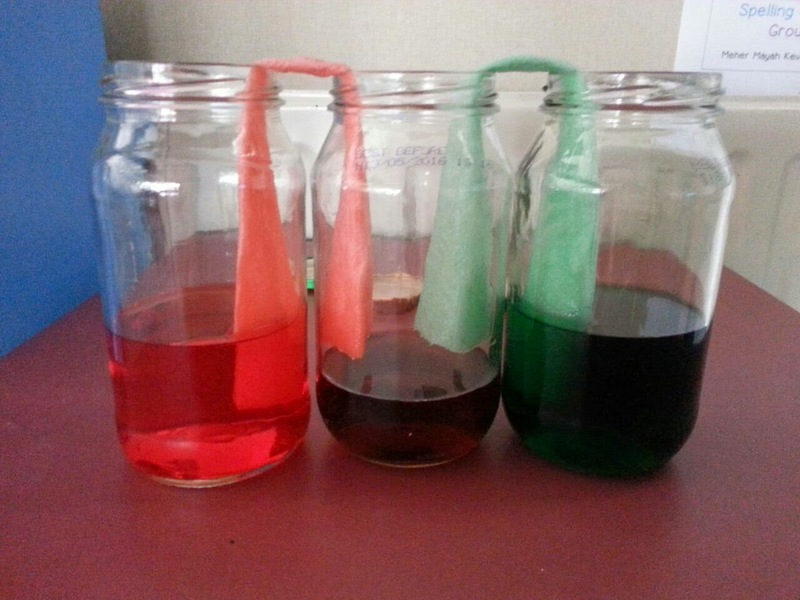 Now place one end of the paper towel into the Red water and bend the paper towel over the edge of the glass so that the other end sits in the empty glass in the middle. Do the same on the other side: place one end of a paper towel into the Green water, and bend it over so that the other end rests in the empty glass in the middle. We need the water from the two filled jars to get into the middle empty jar. Next, we added the tissue and made our predictions (what we think is going to happen).